Potential buyers usually look for reviews before purchasing an item or service. In short, if it’s rated good – people will tend to buy it. This fact encourages many business owners to include a review system on their website. And if you are one of them, you can do it with a WordPress review plugin. In this article, we’ll show you our six favorite options and how to start using them! A review plugin lets owners and users write reviews on a WordPress site. If you want people to use or buy your product, having this kind of plugin is a must. Good reviews are proved to increase conversions. Let’s say you are an online bookseller. Invite buyers to review how convenient it is to buy from you. New visitors will most likely trust your website more after seeing those reviews. Don’t let the word ‘Lite’ fool you. It is a great WordPress review plugin that comes completely free. 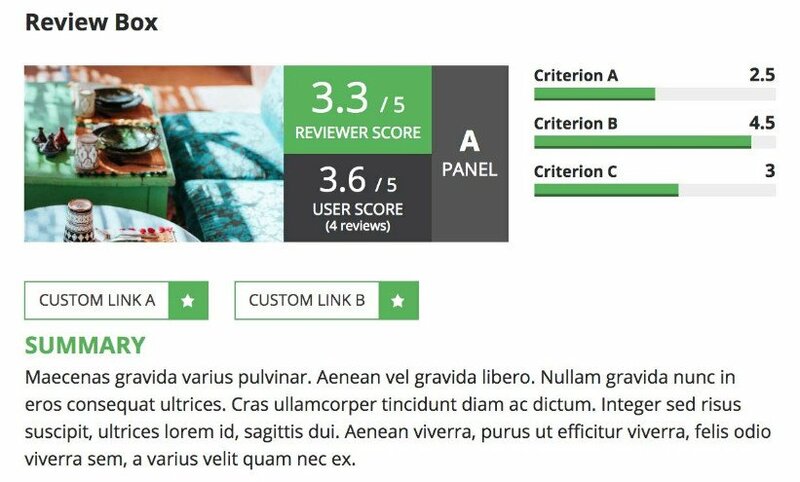 WP Product Review Lite lets you create a complete rating in your page. There are many aspects you can play with, like changing the color of each criterion. The overall score can also be set to a chosen color. More importantly, you can configure two purchase button parameters for each product. Converting visitors to buyers has never been easier. There are paid versions of this plugin as well. It costs $59 for the personal package and $149 for the developer package, which can serve up to 3 domains. The Agency package, which costs $299, can serve up to 30 domains. This $77 WordPress review plugin is great for showcasing reviews. 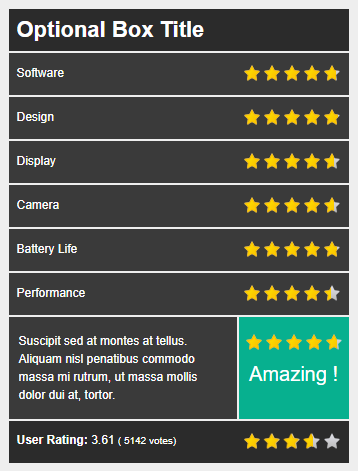 Coming from MyThemeShop, WP Review Pro is one of the best options available. It supports 14 kinds of rich snippets for various types of products. You get 16 predefined templates to choose from. You can modify them later in the settings. The plugin is well-coded and safe so your site’s performance will not be affected. Additionally, set a notification bar to advertise sales happening on your website. For business’, this will effectively boost conversions. Just make sure the notification is not too intrusive. With this plugin, you can easily integrate Google Review, Yelp, or Facebook Review to support ratings. Furthermore, your visitors can have a say about the product in the comment section. The developers added this as a way to increase visitor engagement. Although WP Review Pro is a paid plugin, there is still a free version. Template customization is limited and you can’t integrate famous review sites. You might want to install the free plugin first. If it suits you and has become limiting, then go grab the paid version. 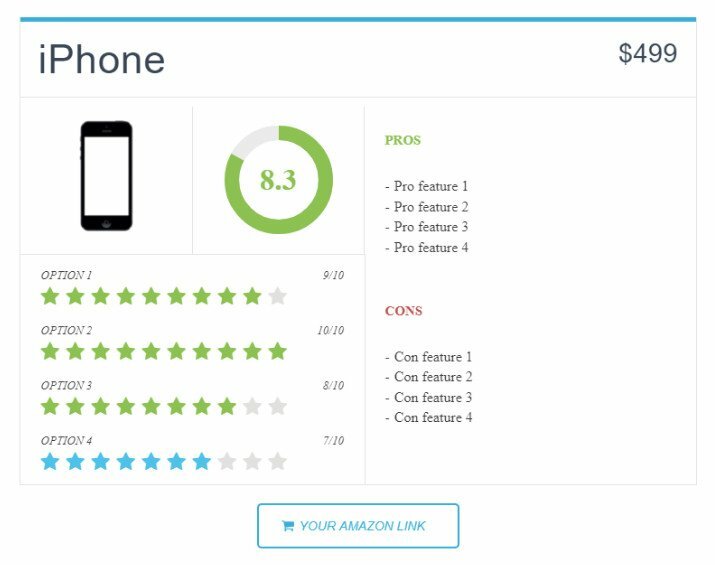 This review plugin collects user assessments of your product or service. You can still use it for your personal ratings as well. To gather user reviews easily, you need to have great user experience and aesthetics. Fortunately, WP Customer Review does precisely that. First of all, the interface is easy to understand for general visitors. Secondly, it is fast and lightweight so speed is not a problem. Focusing on user ratings might lead to dealing with spam. Certain visitors (or maybe competitors) may want to give bad impressions, making your website look worse. WP Customer Reviews makes sure that you have total control over this matter. Each review is filtered through moderation so you can decide which reviews to show. The plugin employs multiple spambot measures to prevent spam. 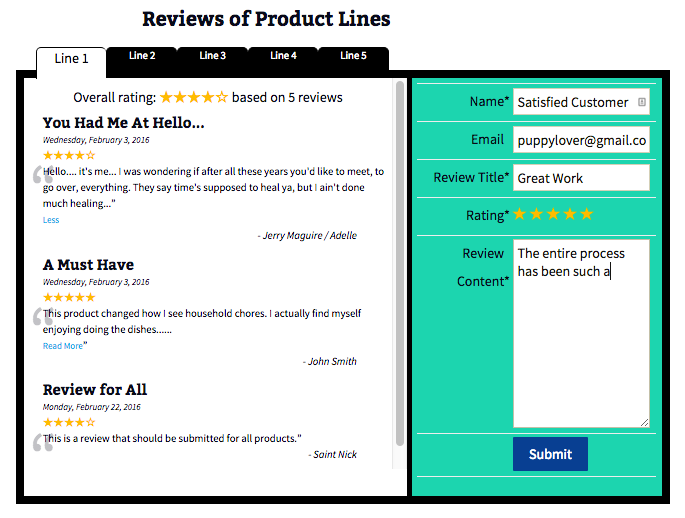 Aside from the features above, you are also able to add custom fields and write your opinion under the user reviews. With WP Customer Review being free, it might be a great option for many people. Similar to the WP Customer Reviews, Rich Reviews works towards displaying reviews from your users. The difference is that it supports Google rich snippets. This means that your website’s readability rating in search engines is increased. This WordPress review plugin lets visitors create a review for a specific product, category, or your entire page. The excellent moderation system enables owners to decide whether a rating is worth showing. This plugin is built around the developer’s shortcodes. You can put your user reviews in a widget anywhere as long as your theme supports it. Rich Review is free giving you a minimalistic review style. In fact, we think it is intended for users who seek a simple WordPress review plugin. Luckily, this one isn’t going to slow down your website. 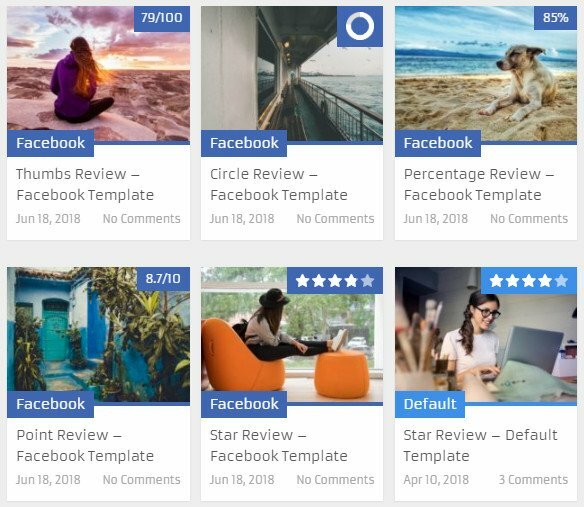 This plugin promises absolute freedom to customize how your reviews look. Unlimited colors and 500+ Google Web Fonts will make it possible. Moreover, many criteria can be decorated with a star, point, or percentage rating. The developers made the plugin easy to translate. Combined with its strong SEO capability, you can maximize visits from specific target countries. You can also add user reviews to enrich your site’s credibility. The option to showcase best, recent and random reviews is also helpful to prevent visitors from bouncing. We are pretty sure no one beats Taqyeem in the price department. Despite being a premium plugin, we think Taqyeem offers the best value to price ratio. Considering the feature set and its great reviews on many sites, $29 is a steal for sure. It even comes with 6 months of customer service or 12 months if you pay $9 more. Despite being developed by a single person, this WordPress review plugin has plenty to offer. Reviewer focuses on user ratings and makes sure it’s convenient to view them. The plugin stands out because it lets users upload an image for with their rating. The website owners can grant verified badges to users too. It’s a great way to show that you care about your visitors’ opinion. You can easily customize Reviewer’s templates to suit your website. The template you made can also be set to default, so you don’t have to edit it for each review. Additionally, you can change your ratings from a star into a custom image. Reviewer costs $28 with 6 months of customer support. If you want to extend it to 12 months, you’ll have to pay an additional $8.63. Different plugins suit different needs. These are the ones that stand out. It is up to you to decide which one will work best on your website. If we had to choose, it would be Taqyeem. It serves both the owner and the user so you won’t have to pay for another plugin. Taqyeem also offers the complete review package with the best price on the market. Grab one plugin from the list and see how reviews can maximize your profit!